Last Friday a group of 7th grade CMS students took a field trip to Gilcrease Museum in Tulsa. They were given a gallery tour followed by a short art class. The students really enjoyed the experience! 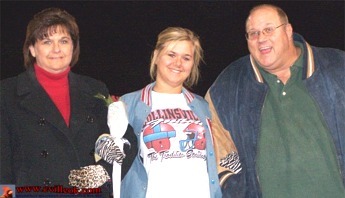 The Collinsville H.S. annual staff is offering you a chance to purchase a personalized advertisement in the 2014 yearbook for your student. These advertisements are one-fourth of a page and may contain a short personal message along with your favorite wallet-size photograph of your son or daughter. The cost is forty dollars (half the cost of a business ad!) For purchasing an ad or for further information, you will need to contact Mrs. Bowman (371-5905) or send this letter with the picture, personal message, and a $40 check (made out to CHS) to 2400 West Broadway. The money must be received by Monday, April 21. This is a May 2008 photo of the then new city commissioner Bud York when he was first sworn in. 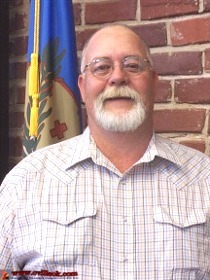 Bud will become mayor in May 2014. Bud's dad (Neal) was a former multi-term Collinsville mayor. Commissioner Larry Shafer (right) was sworn in (May 2012) along with Commissioner Brad Francis (left) and Mayor Hery Weaver (center). Shafer had taken over for Sherry (Davis) Doolin in January 2012.